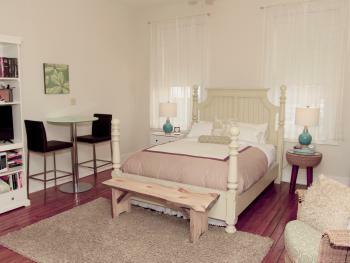 "Sime" King-Bed Suite- located on the main floor. 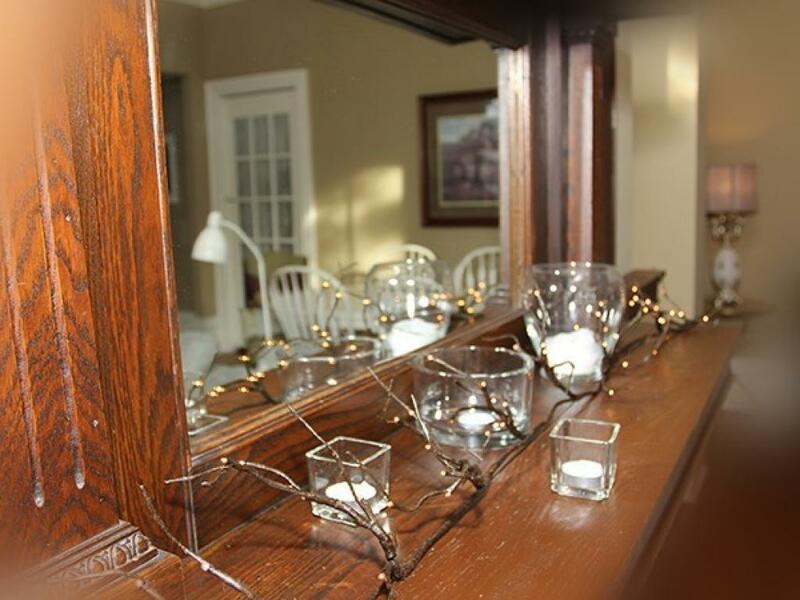 This suite is our most expansive and features floor to ceiling windows, 12 foot high, coffered ceilings, french doors, private parlour and ensuite bath with walk-in glass shower, antique vanity and heated floors. 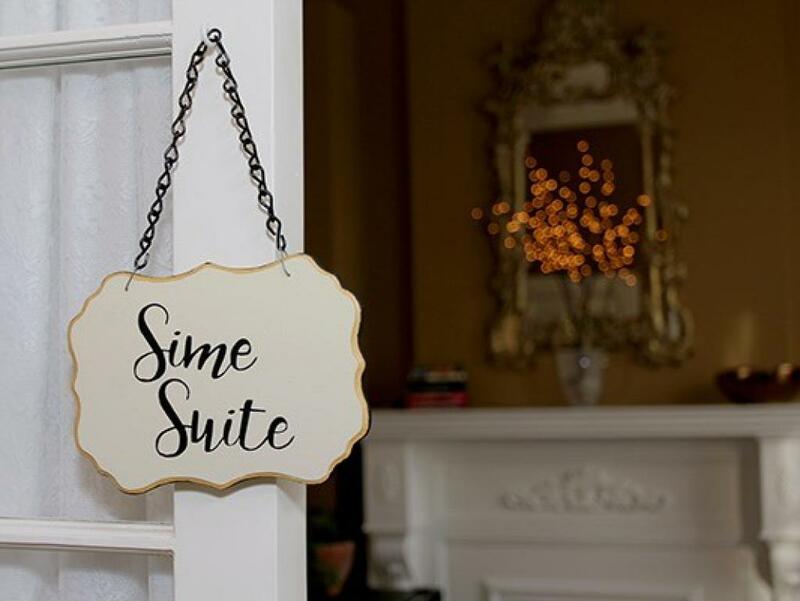 Sime Suite is fully equipped with flat screen, Apple TV, kitchenette with mini fridge, microwave, coffee maker, tea kettle, complementary juice, soft drinks and snacks. 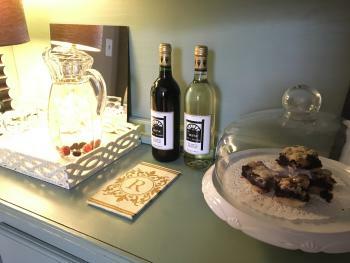 Multi-night, direct website bookings receive complementary bottle of Reeve, house wine. 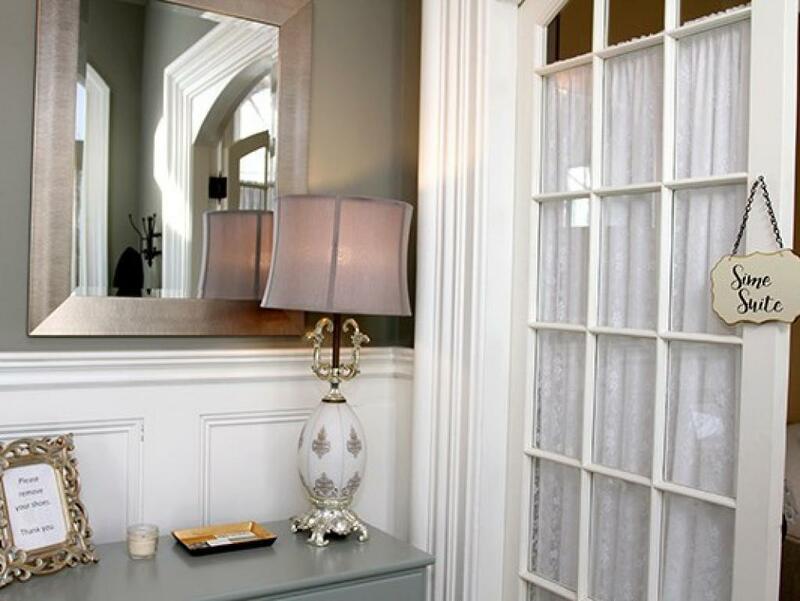 Guests enjoy high, quality linens, 'Purple Haven' Lavender toiletries, welcome refreshments, spa bath robes, hair dryer, access to all common areas, central air conditioning, free parking and wifi. Queen-Suite-Ensuite with Shower-Street View-"Isabella Suite"
"Isabella" Queen-Bed Suite- located on the second floor. This grand suite boasts 10 foot ceilings, a 4 piece ensuite bathroom with claw foot tub, separate glass shower and dressing area, arched doors, double closets, book case and sitting area, with electric fireplace. 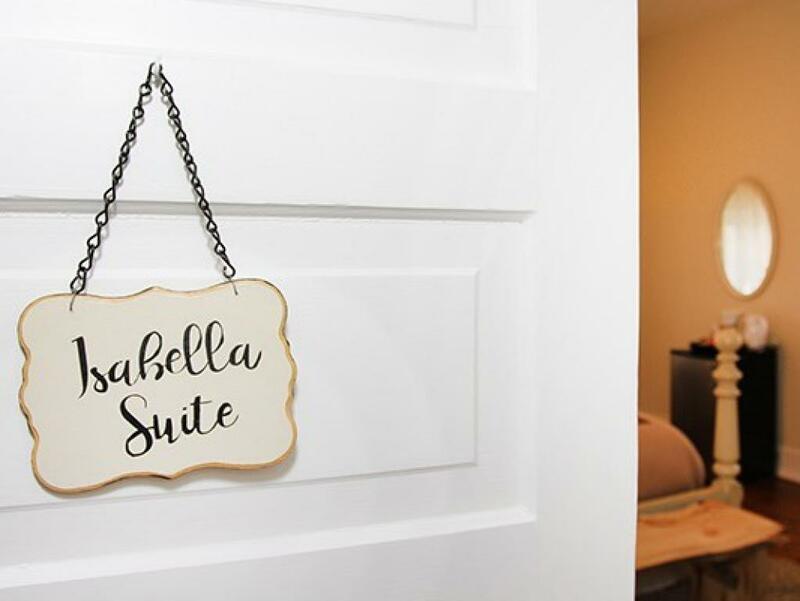 The Isabella suite is fully equipped with flat screen, Apple TV, mini fridge, microwave, coffee maker, tea kettle, complementary juice, soft drinks and snacks. 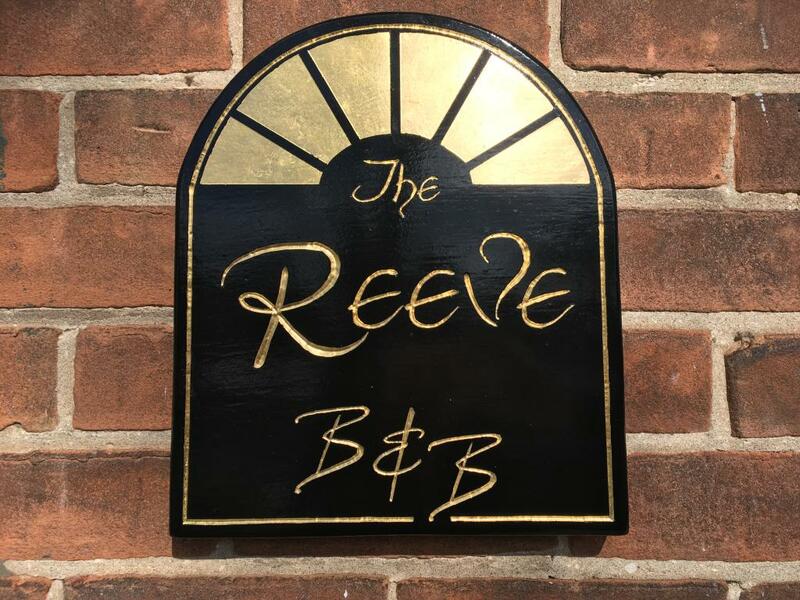 Multi-night, direct website bookings receive complementary bottle of Reeve, house wine. 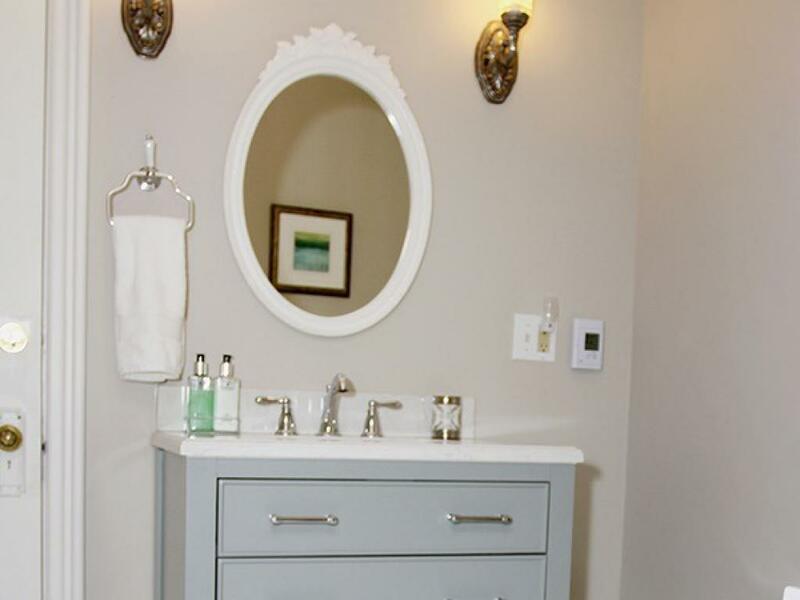 Guests enjoy high, quality linens, 'Purple Haven' Lavender toiletries, welcome refreshments, spa bath robes, hair dryer, access to all common areas, central air conditioning, free parking and wifi. 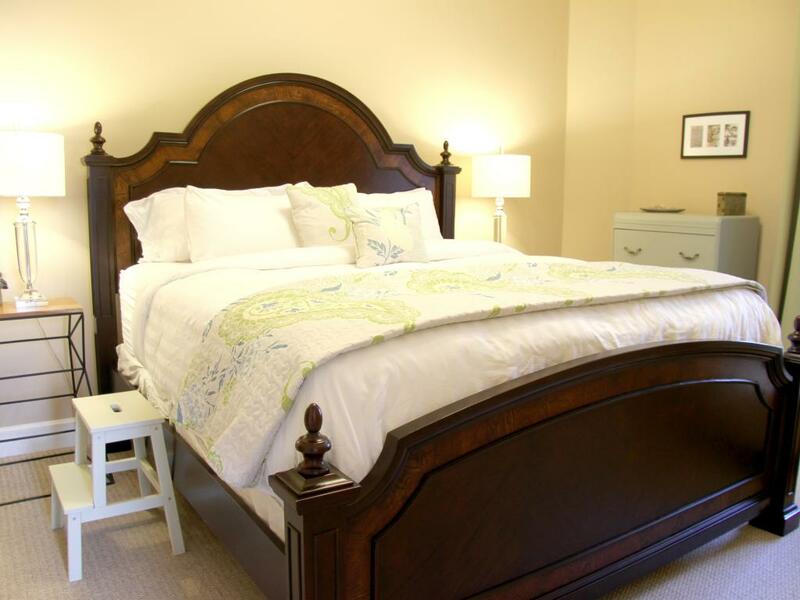 "Johnina" Queen-Bed Suite- located on the second floor. 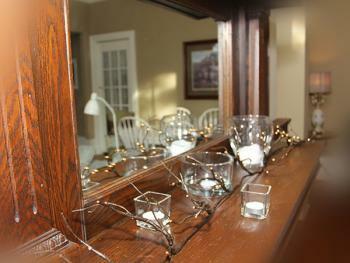 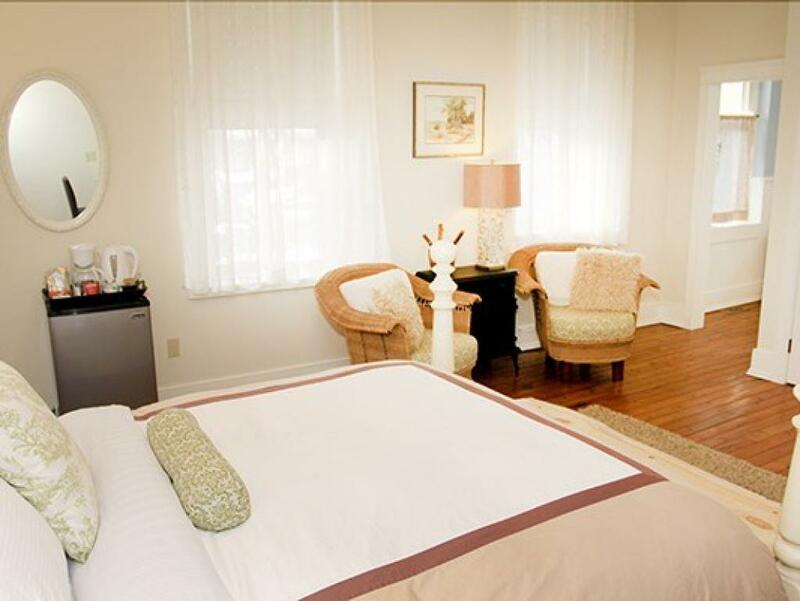 This spacious suite offers a comfortable sitting area, desk, book shelves and large closet. 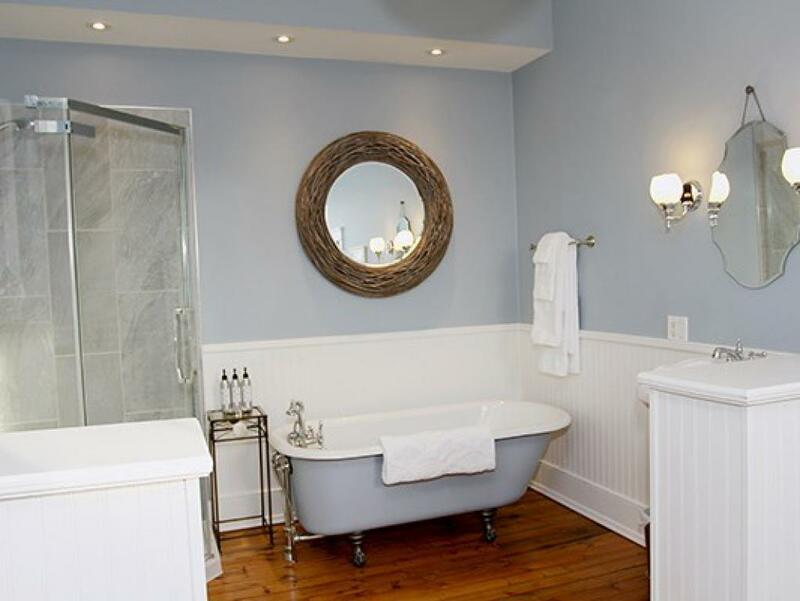 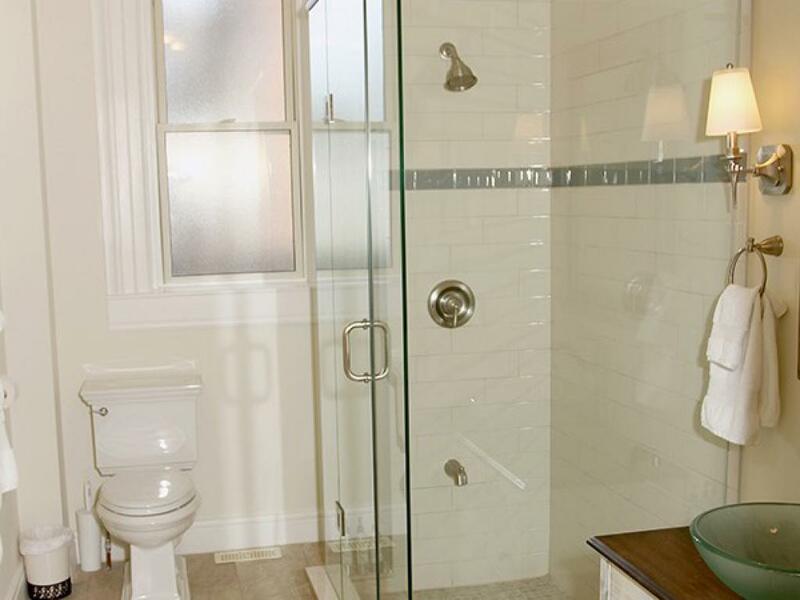 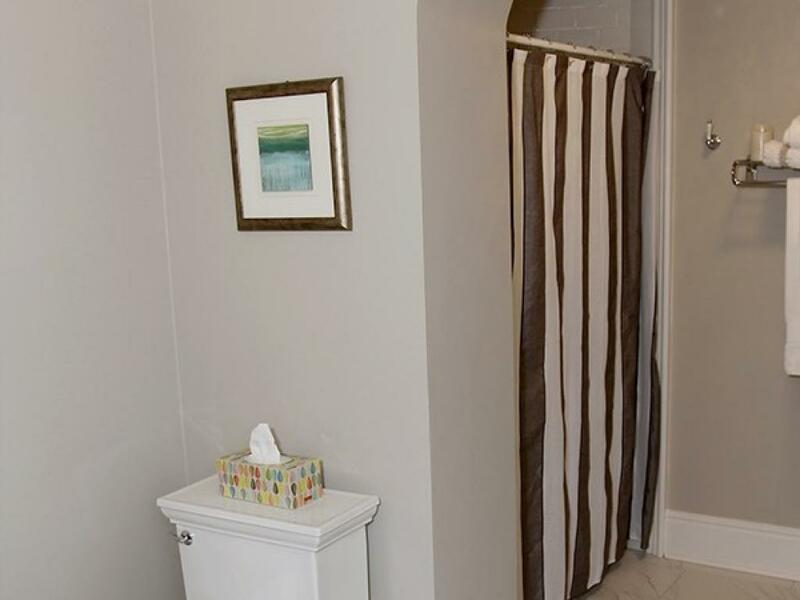 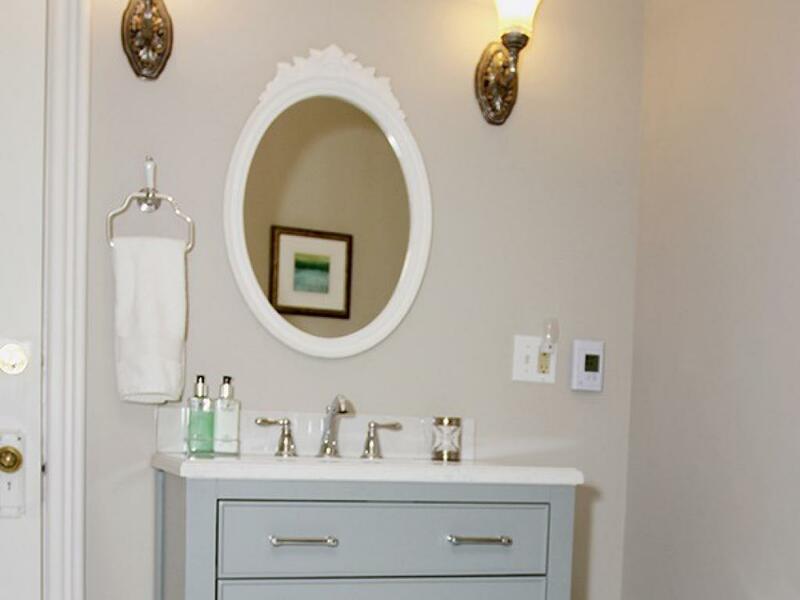 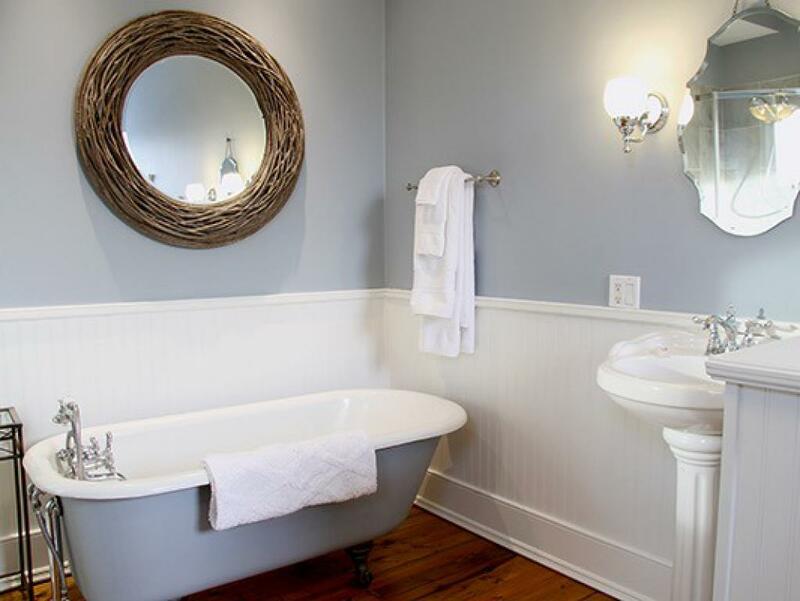 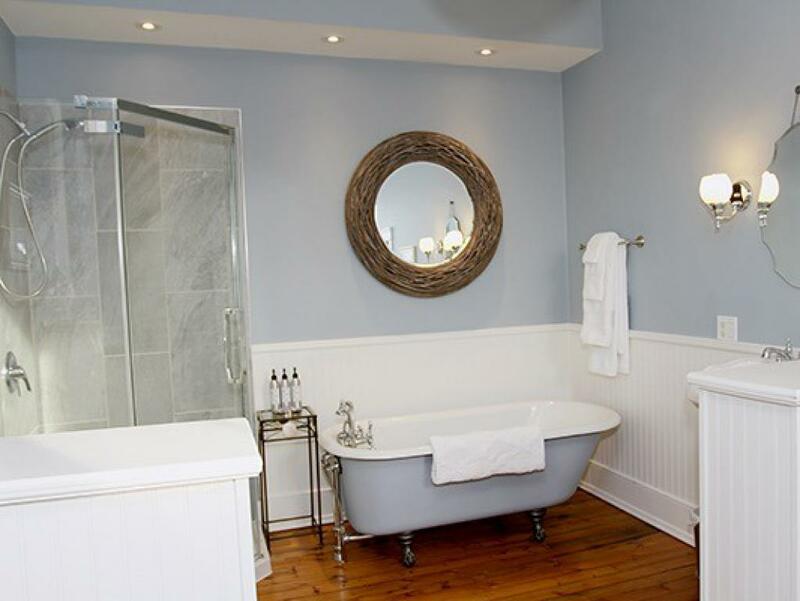 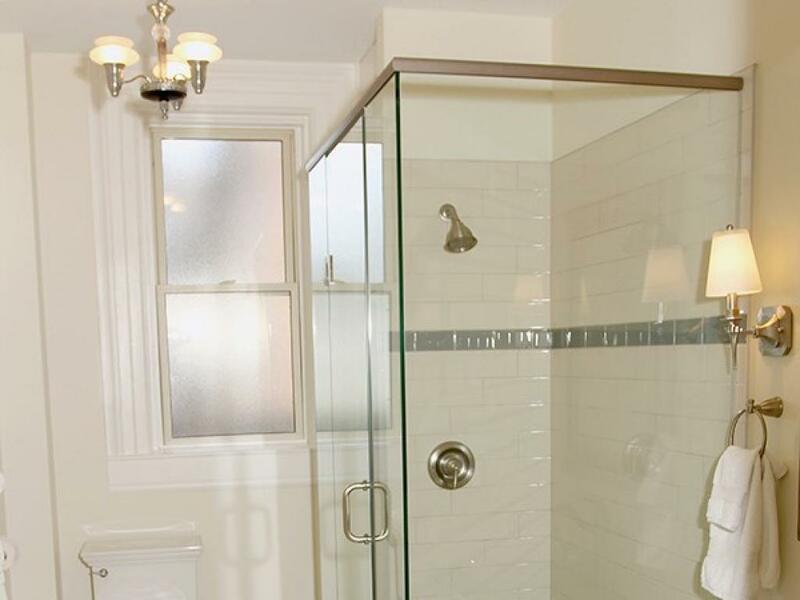 The private bathroom, located a short walk down the hall, offers a huge shower, vanity and heated floors. 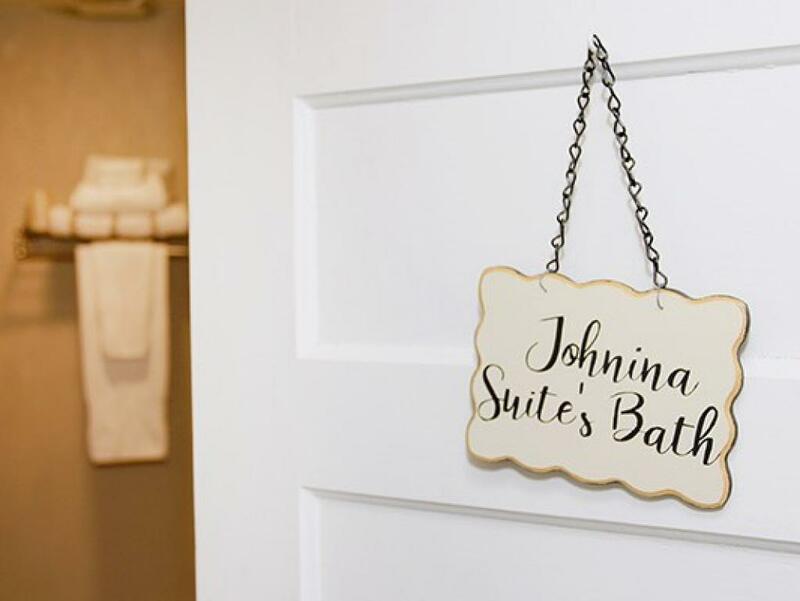 The Johnina suite is fully equipped with flat screen, Apple TV, kitchenette with mini fridge, microwave, coffee maker, tea kettle, complementary juice, soft drinks and snacks. 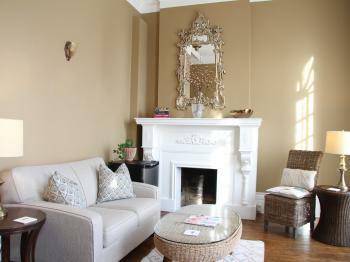 Multi-night, direct website bookings receive complementary bottle of Reeve, house wine. 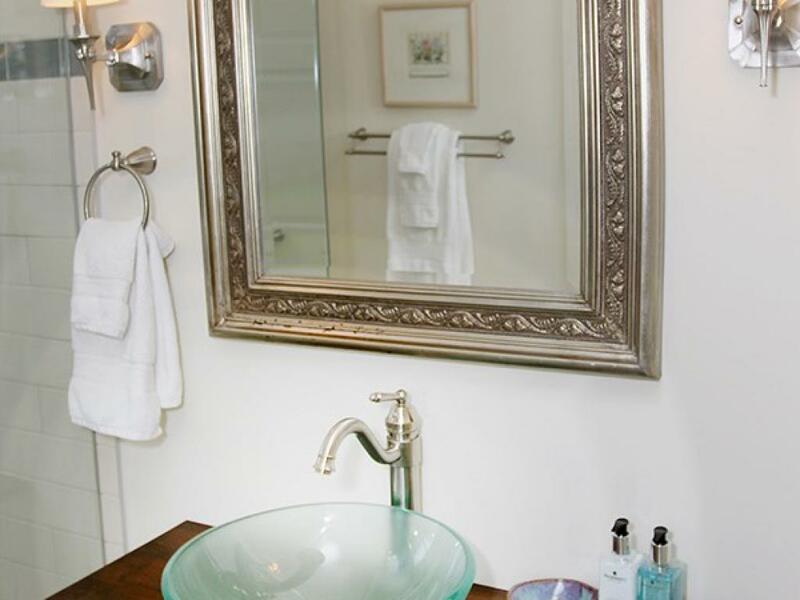 Guests enjoy high, quality linens, 'Purple Haven' Lavender toiletries, welcome refreshments, spa bath robes, hair dryer, access to all common areas, central air conditioning, free parking and wifi. 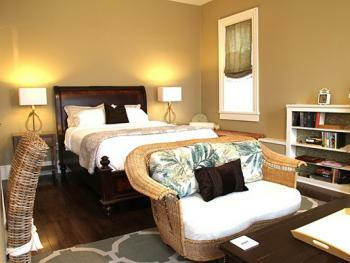 Our Executive Suites: "Sime" King-Bed Suite- located on the main floor. 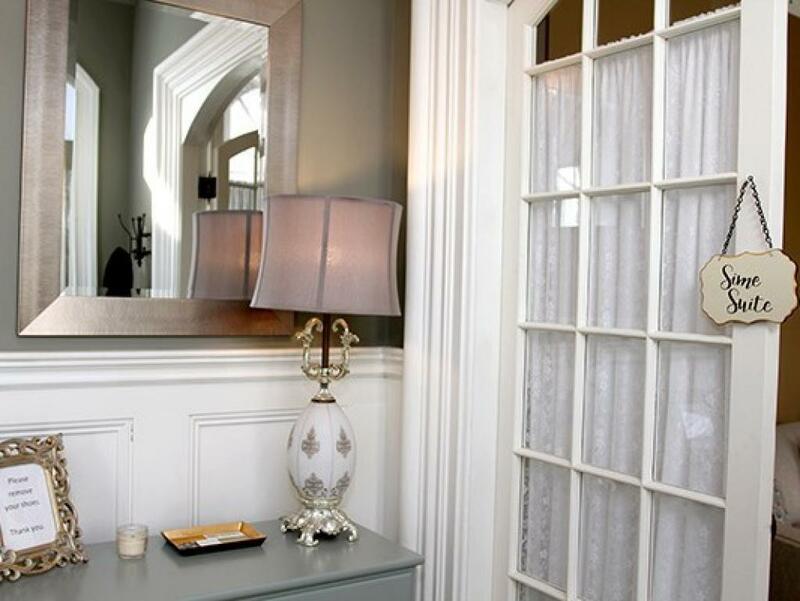 This suite is our most expansive and features floor to ceiling windows, 12 foot high, coffered ceilings, french doors, private parlour and ensuite bath with walk-in glass shower, antique vanity and heated floors. "Isabella" Queen-Bed Suite- located on the second floor. 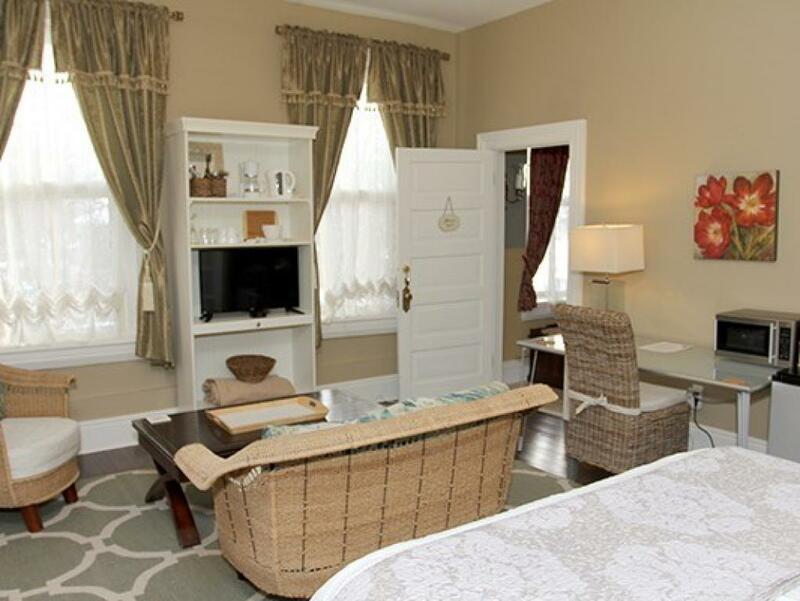 This grand suite boasts 10 foot ceilings, a 4 piece ensuite bathroom with claw foot tub, separate glass shower and dressing area, arched doors, double closets, book case and sitting area, with electric fireplace. 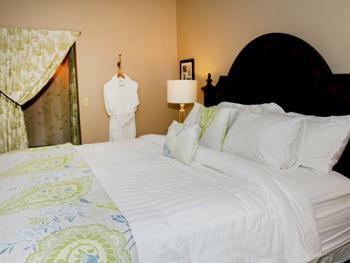 "Johnina" Queen-Bed Suite- located on the second floor. This spacious suite offers a comfortable sitting area, desk, book shelves and large closet. The private bathroom, located a short walk down the hall, offers a huge shower, vanity and heated floors. 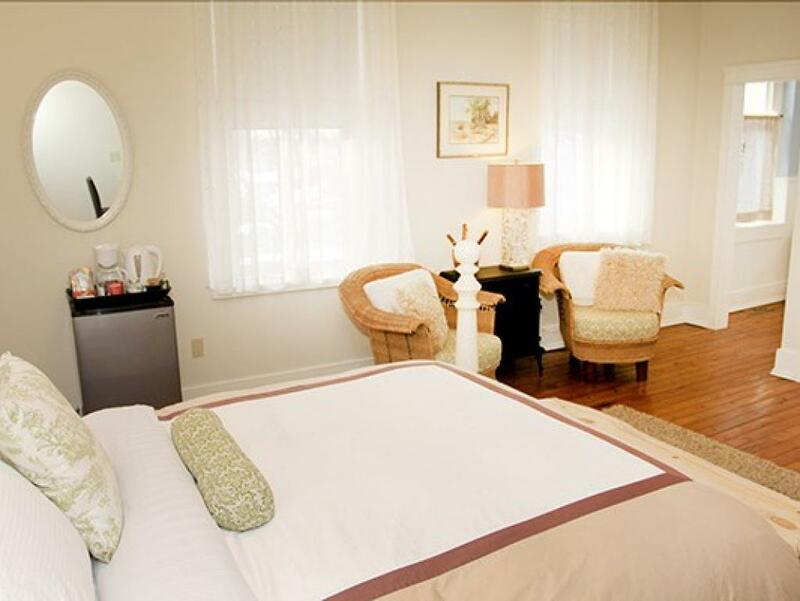 Each suite is fully equipped with flat screen, Apple TV, kitchenettes with mini fridge, microwave, coffee maker, tea kettle, complementary juice, soft drinks and snacks. 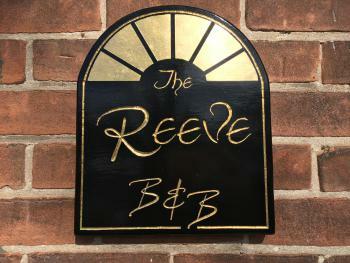 Multi-night, direct website bookings receive complementary bottle of Reeve, house wine. 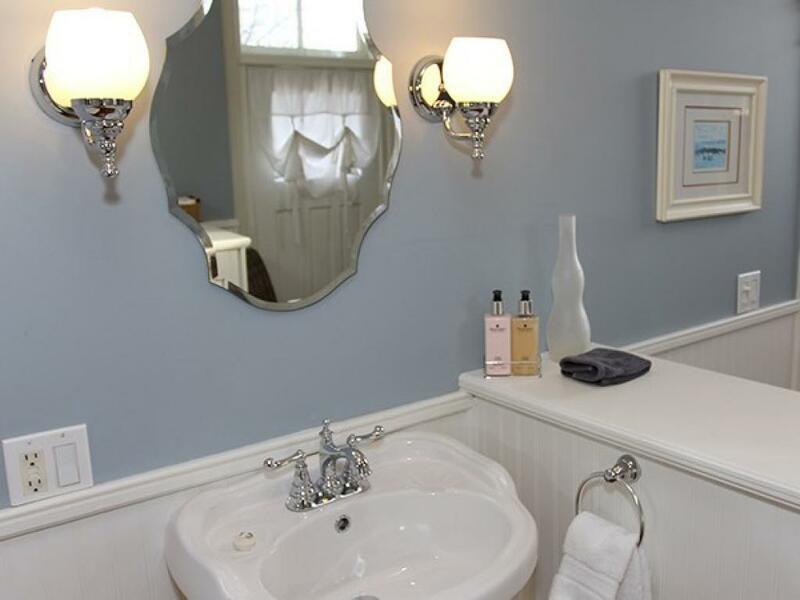 Guests enjoy high, quality linens, 'Purple Haven' Lavender toiletries, welcome refreshments, spa bath robes, hair dryer, access to all common areas, central air conditioning, free parking and wifi. 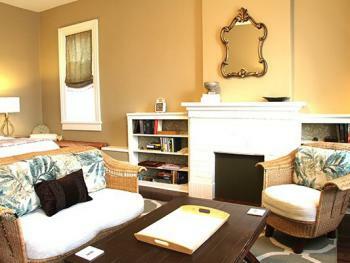 Food: Weekend visitors during July and August will enjoy a full, sumptuous breakfast. July and August weekdays and daily, September to June, guests will receive a fully paid, breakfast voucher to a partnering restaurant within walking distance of the Reeve B & B. 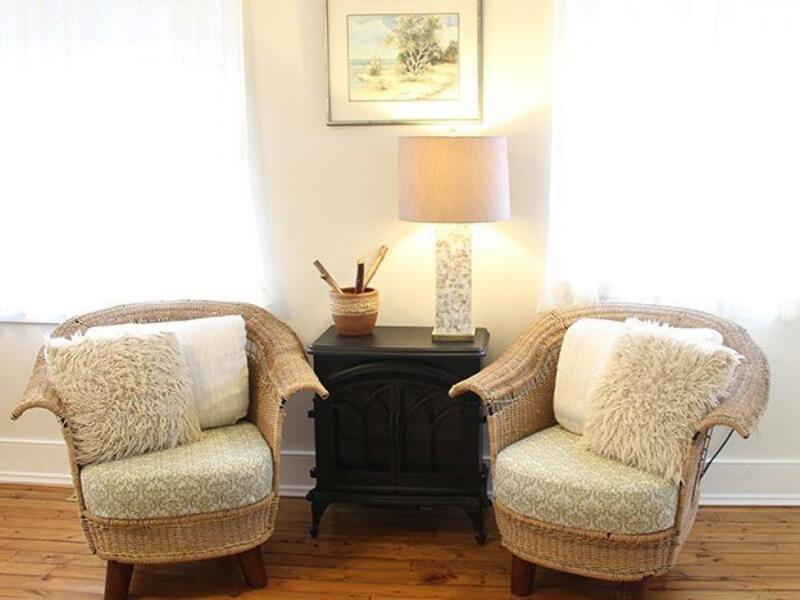 Beaches: Myrnam Beach (James N. Allan); 15 minutes, Rock Point Provincial Park and Beach; 15 minutes away, Long Beach; 20 minutes away. 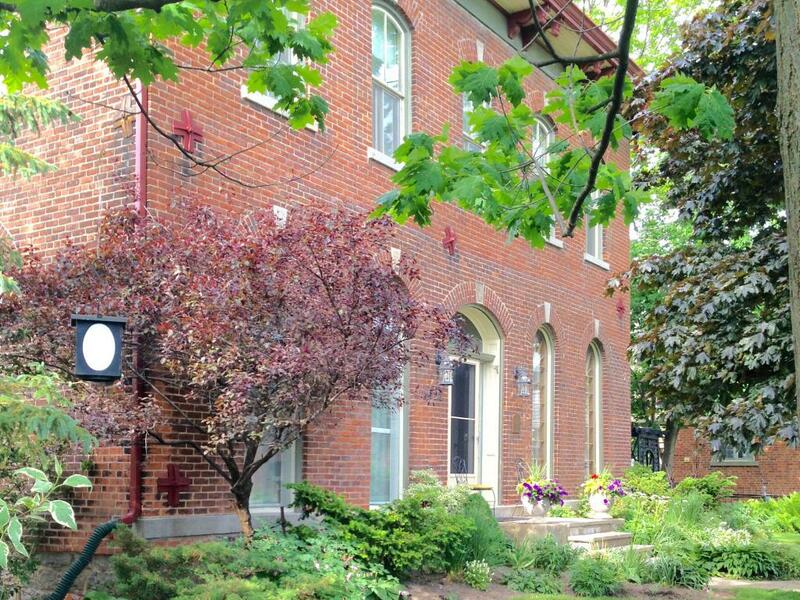 Explore: Nature and health enthusiasts will love visiting Rock Point Provincial Park and Conservation areas to bird-watch, hike, sun and swim. Published bike routes located right outside our door. 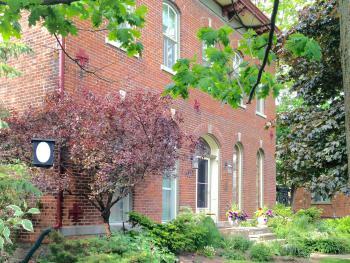 Access: Hamilton 55 km; Niagara Falls 50 km; Toronto 120 km; local airport 40 km.